What Data Do We Collect via this Website? We do use Google Analytics, cookies from WordPress plugins and a Facebook Pixel which is used for marketing purposes. 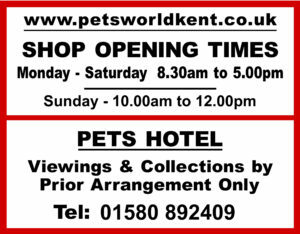 Pets World’s Luxury Cat & Dog Hotel keeps the personal data provided by you when your pet comes to stay with us. This is stored securely by us but is not passed on to third parties except in the case of veterinary treatment. In this case, your data will be transferred to the applicable veterinary practice. We do collect data via the contact form for the Pet Hotel. This is temporarily stored on a secure WordPress database and regularly deleted. You are asked to confirm that you are happy for us to collect this data before you submit your form. If you prefer to not contact us via the website and do so by telephone, we will also have to store your data in connections with your enquiry/reservation. We do not pass any data on to third parties.